♨ Official mobile-friendly labels from Google; ♨ You can now share tweets via direct message; ♨ Official Twitter WordPress plugin to embed Vines; ♨ Facebook Groups now has its own app; ♨ A case for dumping Facebook marketing; ♨ Americans pay more for slower Internet; ♨ Google Contributor subscription service launched; ♨ Yahoo beat Google as Firefox search engine; ♨ Great Bing homepage updates; ♨ Google Wallet is giving away $200K; ♨ Have you heard? Black Friday has started; ♨ ...and more. The biggest sale day of the year is almost here.  In this post, I’ll keep you updated on the latest deals on marketing products I love and use at Traffic Generation Café – so I can honestly recommend you use them on your site as well. Leave it to Amazon to make Black Friday last. Not by a day or two even, but why not stretch one day into eight, right? Amazon.com announced Black Friday deals would start even earlier this year – Friday, November 21. Yes, that’s yesterday! They’ll be adding new deals as often as every ten minutes for eight straight days. Learn more about the deals and how to get to them in my post on LinkedIn. Would you be surprised to learn that your FB fans are twice as likely to sign up for your emails than to engage with your page on Facebook? Forrester Research has published a report called “Social Relationship Strategies That Work” that looks into the relationships between brands and social media, and questions the effectiveness of some social media platforms, particularly Facebook. I outlined a few options suggested in the report; you can find them in this LinkedIn post I just published. I hate to admit it, but until I decided that ignorance was no excuse and started researching the topic and subsequently writing this post, I didn’t have an opinion on Net Neutrality. I am not sure if it’s any comfort to learn that I am just one of 58% of Americans who have no opinion on Net Neutrality – because they don’t know enough about it. The other day, I had trouble with Comcast internet connection, which made me realize just how important internet is in my life – I felt like I was completely stranded without it. It’s time we learned more about Net Neutrality. Noticed a trend above? Yes, I’ve been spending a lot more time on LinkedIn. It’s my next ‘do or die’ traffic generation platform I am determined to learn everything about and pass it on to you. Join me on LinkedIn here and watch me ‘do my thing’. Join Sarah Santacroce’ LinkedIn Challenge that will start on December 1 – we’ll learn more about LinkedIn together. Another project I am simultaneously working on is recording more soundtracks of my posts, posting them to SoundCloud (an online audio distribution platform, yet another traffic generator I am working on), and then adding them to text posts – like I did in Why You Should Dump Facebook LI post mentioned above. I barely started working on my presence there, so this is building something as ‘from scratch’ as it gets. Join me on SoundCloud here and watch me ‘do my thing’. Join my Google+ SoundCloud Think Tank community to learn more about it together. Starting this week (after a slew of mobile-(un)friendly tester icons), Google is officially adding a “mobile-friendly” label to their mobile search results. New in Google search: when you search for certain celebrities or well-known personalities, Google may show links and icons to their social profiles (other than Google+!) within the Google Knowledge graph panel. Twitter enabled users to share and discuss tweets via direct message – you can now send copies of tweets and comment on them out of the public eye. Twitter launched a WordPress plugin to get you to embed more Vines in your blog posts. Twitter now indexes every public Tweet since 2006 – about half a trillion public messages. Facebook Groups now has its own app. Just in case you were working too much at work, Facebook is rumored to be testing a product called Facebook at Work, designed to let people, well, use Facebook at work. Apparently, Emojis have joined us on self-hosted WordPress blogs. This made me mad: Americans pay more for slower Internet. Did you get this: more for slower. New Google Contributor subscription service will let you pay money to remove ads from certain sites – Google calles it “an experiment in additional ways to fund the web”. Google Wallet is giving away $200,000 to attract new users – you and a friend can each get $5 when you introduce them to Google Wallet. Yahoo is going to replace Google as the current Firefox search provider. Yahoo now lets (select) photographers sell their photos on Flickr. Microsoft updated the Bing homepage with high-definition backgrounds, image captions, and a new Office Online menu. I must admit, the changes are awesomely helpful and fun. Now, not only can Skype be used on just about any screen you lay your hands on, but you can also sign in to Skype for Web on Skype.com and be able to connect and start instant messaging directly from your browser. Amazon is rumored to start a hotel-booking service by January 2015. Need to flip a coin? Just say OK, Google; flip a coin. Testing out that Twitter plugin now. Look forward to your screenshot! Hello madam, yet another awesome round up. I really am getting all I should know and nothing else on this skinny. The best place to stay updated. It sure has be covered, though I keep most of the reading of these links for the weekend. Yes indeed, it was kind of Babs to have mentioned me along with you in his recent post, that in itself was a great honor I would say. I’d be keeping a check on the Black Friday deals offer as I’m trying to set up a new store on my blog too. Didn’t know about Google adding a “mobile-friendly” label to their mobile search results and the other changes they’re coming up with. Need to check those out and the others too. A new store on your blog? What kind of products are you thinking of selling? Is your blog mobile-friendly, by the way? Yes, my blog is mobile friendly as it has a responsive theme. I’ve just set up the store – so still in the process of trying it out – its an amazone product store and I’m just highlighting the ones offering the black friday deals for now. Sounds great, Harleena; hope it does well for you! Thank you for sharing and seriously, I have absolutely no idea where you get all the time to prepare this! For one, I am struggling just to keep up. Nonetheless, really appreciate the time you took and I guarantee you that I love it… Every single time! Keep it up dear friend! It’s very much worth it to keep up with it though; glad you are finding time to read my weekly skinnies at the very least, Reginald.